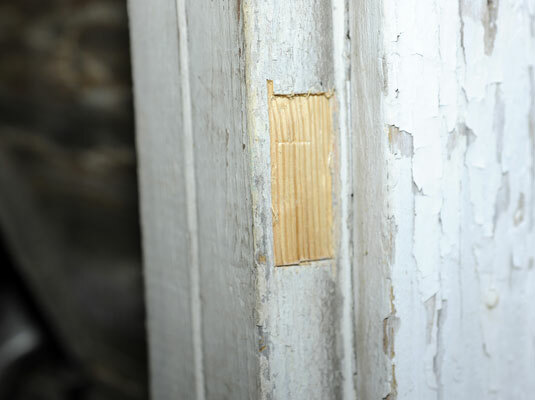 Mark the area around the strike plate that you want to install flush with the wood. Trace the outline of the area. Use the chisel to deepen the outline marks. Gently tap the chisel into the outline until the marks are about 1/8 inch deep. 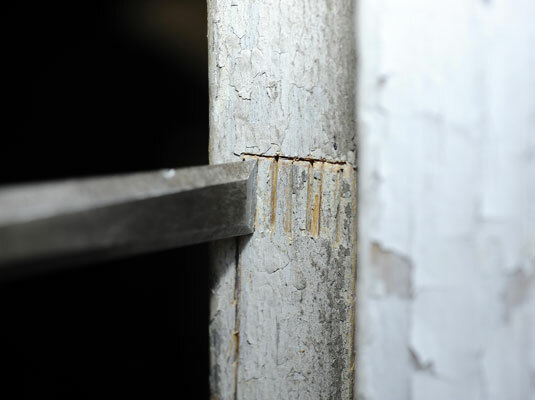 Make a series of closely spaced cuts into the mortise area. 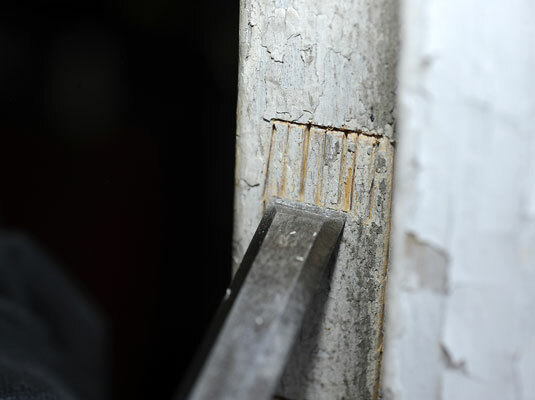 Starting at the top of the faceplate outline, make a series of closely spaced chisel cuts about 1/8 inch deep inside the marks. Cut through the base of the cuts to empty the mortise of excess wood. Tap the chisel at sharp angle to cut through the base of the chisel cuts. The result will be to remove these cuts. Gently remove any excess wood. Continue tapping gently with the chisel until the area is smooth. 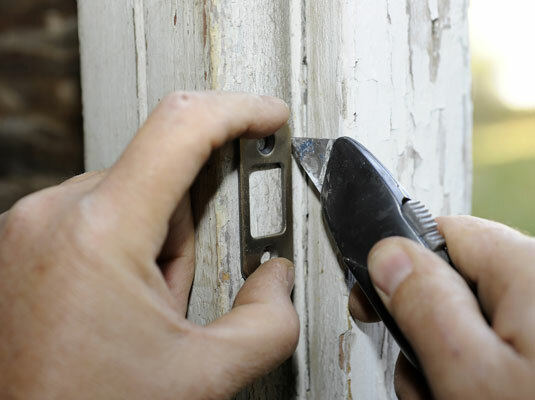 Be careful not to cut the mortise too deep in your efforts to make things perfectly smooth. The plates are supposed to lie flat against the wood, and not be recessed.